The most important thing that you can do to prepare for funeral planning is learning about the options that are offered in the industry. This information can be used to identify the services that match the needs of your family. Then, you will have peace in knowing that you designed the perfect end of life services to honor the memory of your family member. If you are interested in learning more about funeral and cremation in Glade Hill, VA, then our team is here to assist. At Lynch Conner-Bowman Funeral Home, we have a long history of excellence in the funeral planning industry. Our team understands the nuances of funeral planning. We are working hard to focus on the small details that ensure a beautiful, quality event for your loved ones. When you choose our funeral home, you can have confidence in knowing that we are overseeing all of the necessary details behind the scenes. When you reach out to our team for help with funeral planning, we will walk you through the details that need to be considered for the services. Instead of assuming that you prefer a specific funeral package, our goal is to listen to your preferences and requests. This conversation is a time for us to identify family traditions and goals. Once we know more about your desires, then we can provide recommendations that are a good fit for your needs. This funeral planning process doesn’t have to be stressful. When you follow the guidelines and support offered by our team, you’ll see that we walk you through all of the necessary decisions for funeral planning. We’ve optimized this system to reduce the time required and simplify the choices while ensuring the best results for the needs of your family. When you are getting started with funeral and cremation planning in Glade Hill, VA, keep in mind that choosing a funeral home should be the first decision. You need to find a good funeral director to discuss your options. An experienced team will offer insight and guidance as you are facing challenging decisions related to funeral planning. Facilities: Not only should you locate a funeral team that is close to your home. But you also need to consider the size of the funeral home and the facilities that can be used for the event. Schedule a tour of the funeral home so that you can see the meeting rooms and areas where your family will gather. Keep your goals in mind so that you can select the funeral home that is a good fit for your needs. Values: Finding a family-focused funeral home means that you will receive caring, supportive services every step of the way. At Lynch Conner-Bowman Funeral Home, the care of your family is our top priority. We provide the services required for the deceased. At the same time, our team goes above and beyond with the small details that provide an excellent experience for the survivors. 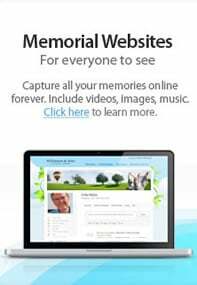 Services: What funeral services fit your traditions, budget, and preferences? You can find general funeral services at all funeral homes in the area. If you want a unique funeral plan, then you should talk to us at Lynch Conner-Bowman Funeral Home about your options. We have experience with many styles of funeral planning. Cremation: It is common for families to choose cremation instead of traditional casket burial. If you desire cremation, then our team is the best provider in the area for these services. We have the first crematory in the county and promise the highest level of care throughout the cremation process. Preplanning: Why wait until the last minute to get started with funeral planning? It can be stressful to pull together a funeral in two or three days. A better solution is to reach out to our team in advance. We offer preplanning to support funeral planning at your convenience. Your funeral plan will be held on file so that it is ready for your family when it is time to hold the funeral in the future.